Yesterday I drew a "Professional Teacup Diver." 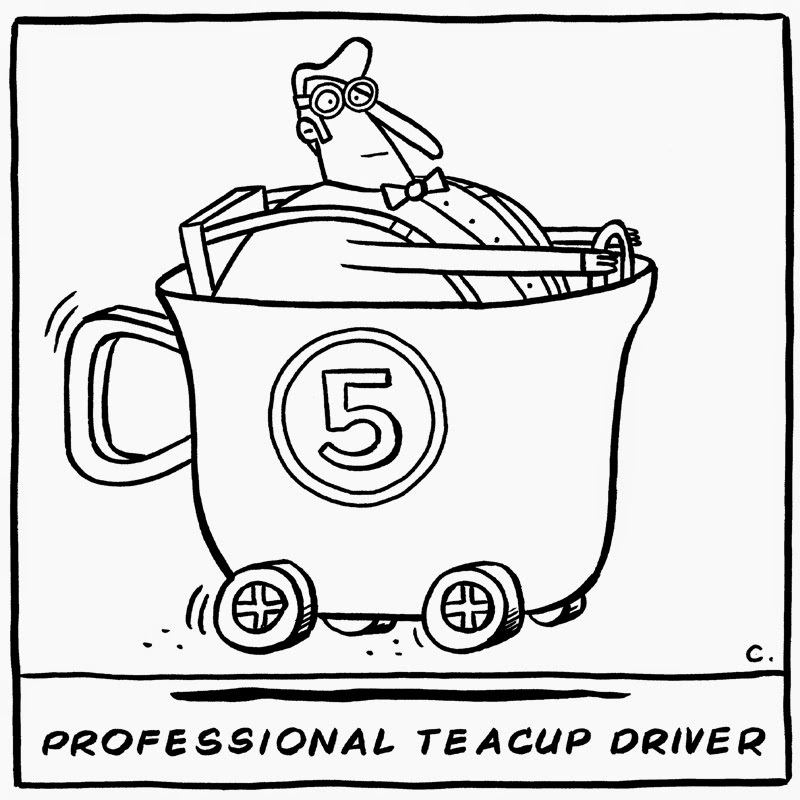 A fellow artist, Marina Aizen, that follows me on my Facebook page mistakenly read it as teacup "driver." I thought that was a funny idea. Marina challenged me to draw it, so this is what I came up with.